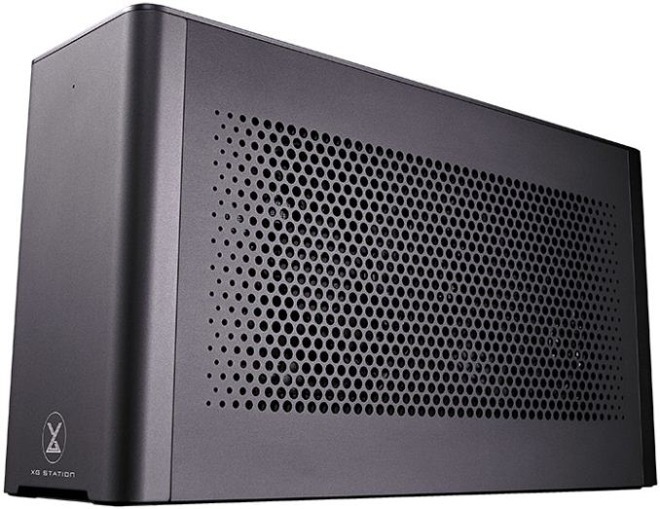 Asus has abandoned large enclosures for it's latest Thunderbolt 3 external GPU expansion case, with the new XG Station Pro separating the power supply's bulk and heat from the enclosure. 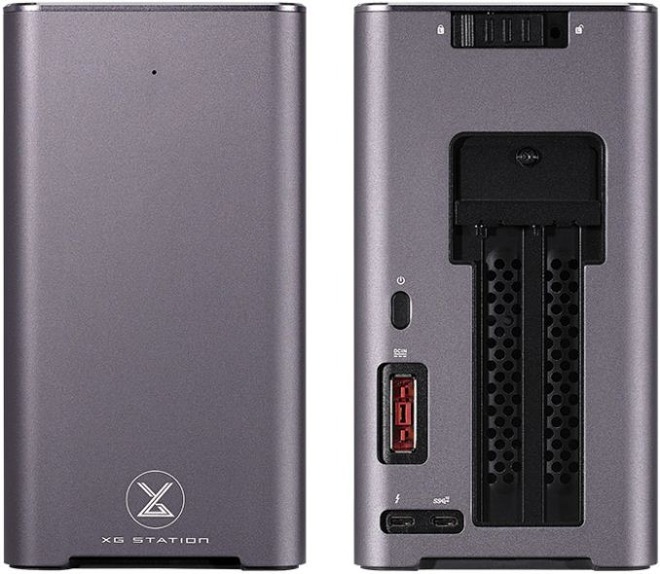 The XG Station Pro is a "dark gray" color according to Asus, but it matches Apple's Space Gray color in the MacBook Pro and iMac. The new enclosure features a mechanical x16 PCI-E slot, the same as every other enclosure. 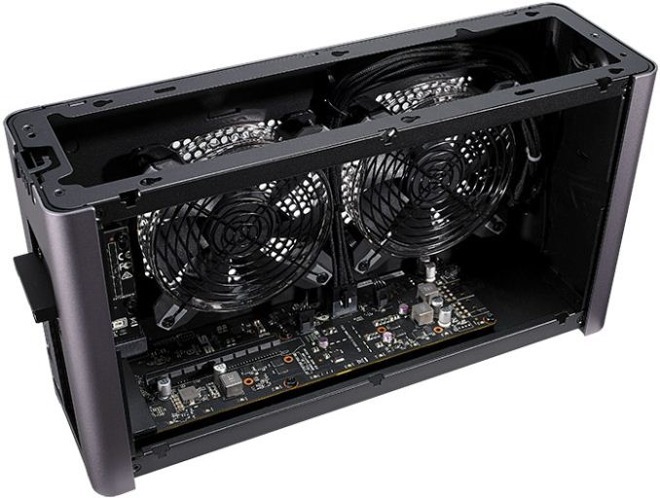 Cooling is provided by a pair of 120mm fans, with the enclosure itself able to accommodate a 2.5-slot video card. The external power supply is rated for 330W. Power is provided to the card by a pair of 8-pin PCI-E power leads. Given the wattage, the enclosure appears to be better suited for cards like the Vega 56, with the Vega 64 sometimes drawing in excess of 250W. Connectivity to the unit is provided by a single Thunderbolt 3 cable. It lacks a downstream Thunderbolt 3 connection, but has a single USB 3.1 Generation 2 port instead. Asus will ship the XG Station Pro later in January for $329, and specifically lists MacBook Pro compatibility. The landing page for the product on the Asus website is not yet live. AppleInsider has been evaluating Apple's build-out of eGPU code in High Sierra since its release. In September, and with the latest betas, Apple has made many improvements in performance and stability, but the feature which won't be fully available to users until the spring, isn't quite ready for mainstream users as of yet.